Before we jump (not from the airplane for now) on this insiders guide how to avoid beautiful sport of skydiving, you must always keep one thought in mind: DO NOT DREAM. Just repeat this mantra to yourself every day when you wake up and you should be good. Dreaming can lead to your brain being very creative and lucid. Those side effects of dreaming can result in some of the most brilliant and inspirational ideas in the World. There is a possibility also that dreaming or better said innovating can induce evolution and massive enlargement of brain size which is not very nice because it can increase your wing load what leads to adrenaline boosted landings after free falling in the sky. Be careful. OK to the point, so how to avoid skydiving? Follow this guide step by step and try not to find yourself at the bottom of this cute list. There is a funny activity that is advertised a lot around the World of skydiving and it is called tandem skydiving. When you see this just walk away. These are most probably funny and experienced skydiving instructors that want to show other people how their sport is very cool. They teach you how to skydive with them in less that 30 minutes in a very funny configuration. Avoid posters that are advertising first jump skydiving course. Do not call that number. This is the most important step that will enable you to avoid problems with sensational feeling of free falling in the future. Save your money and time and sit at home in front of your television. Don’t do nothing about this happy thought to start learning about this epic sport. OK. If you somehow ended sitting in skydiving course do not jump from the airplane. Just tell to your skydiving instructors you don’t want to jump and they will not force you. If you do jump, there is a high risk that you will feel very happy and impressed. It is so addictive that you will want to spend as much time as possible in that moment of actually true silence in your head. Your every day worries might go away in this moment of true ZEN. 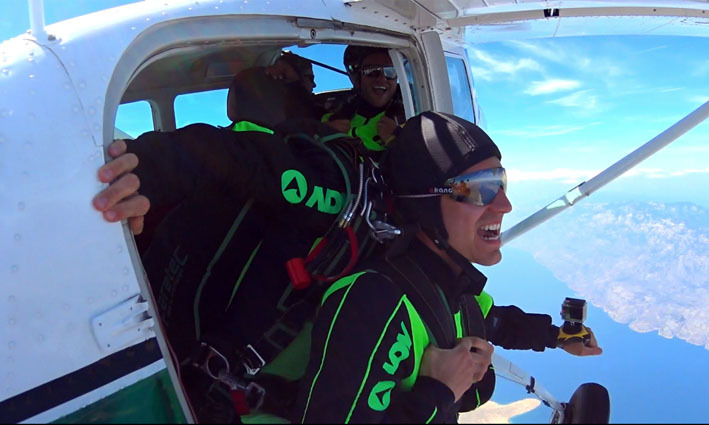 This skydiving moment gets some people for life. Avoid this and stay “normal” person. Do not leave your job and nice salary to skydive around the World. If you are at this phase and you didn’t listen me and now you are skydiver, you are in real problems but still there is some hope. 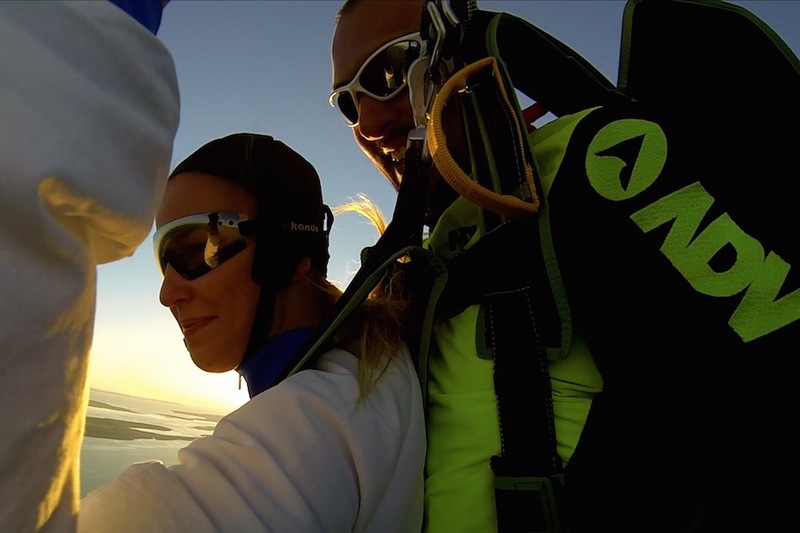 In this phase you might get the idea to share sensation of skydiving with other people and start skydiving instructor course. This phase can lead you to being the happiest person in the world when you see the smile on faces of people that you were mentoring. So again just say no and you will be good. 5. Do not start skydiving business as I did, especially not in Croatia which is very nice country with beautiful National Parks. Avoid being yourself and DO NOT DREAM. You should do what every other “normal” person does and you will be OK. Do not Skydive in Croatia and also do not Skydive in Zagreb and do not Skydive in Zadar. Also do not trick people with this blog just to click on your tandem skydiving drop zones in Croatia. If you do this, you will know you are hopeless. Skydiving is and it will always be something that cleans my mind and enables me to be one with the blue sky that I love to fly. I think we need to continue to push our limits and I don’t say everyone needs to do skydiving, rock climbing or some other adventurous activities. Some people may not like it but everybody needs to try it because it is safe and unique opportunity to better understanding your true you. Confront your fears every day and push the limits in every aspect of your life.